Over the past decade, interest in home automation systems constantly grew. This yields especially for daily life - considering the connection of intelligent everyday devices through the Internet of Things. To allow automatic actions on these devices, user localization systems have become a major input modality for smart home systems. The location of a user (or rather a subject) can be determined by different localization techniques, such as sensitive floor systems, discrete activity sensors like light switches or RSSI-based WLAN/Bluetooth beacons (e.g. smartphones). These heterogeneous data sources provide various means of user location certainty, the ability to identify a user or the ability to recognize multiple subjects in the same location. In order to achieve a higher grade of accuracy, multiple data sources can be combined by location fusioning algorithms. However, to allow the integration of such algorithms on a hardware independent basis, a commmon user location model is needed, which can represent all important aspects of these localization techniques. 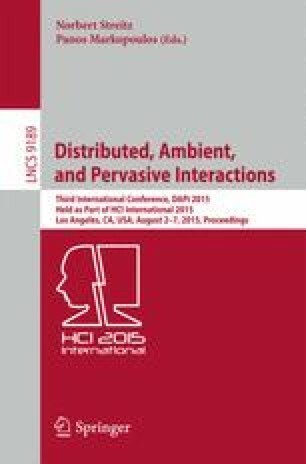 This paper investigates the concepts of existing user localization systems and develops a new model to represent the location of subjects based on already existing location models. An implementation is provided based on Eclipse SmartHome, an open-source building automation framework.